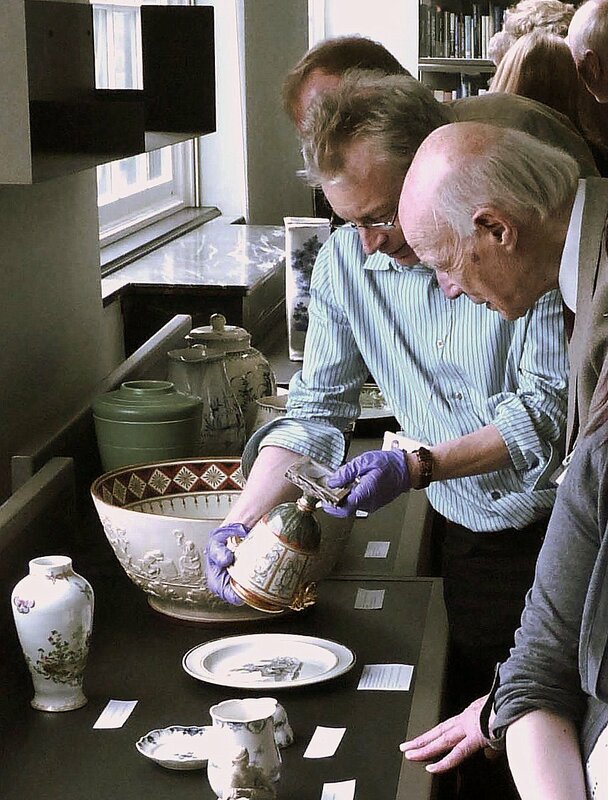 Enjoy collecting, or want to know more about ceramics? Join here. Discover our monthly meetings, twice yearly seminars, and summer visit. Images and videos of all kinds of pottery & porcelain. 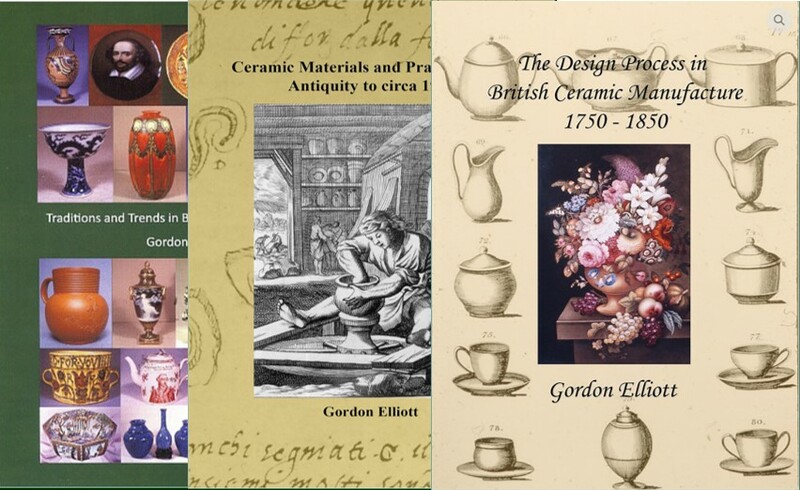 As well as our Publications Archive we have other resources for ceramic research. The members facility to search past publications is much improved. In the past not all our publications were available to search and those that were had a limited search capability. Now you will be able to fully search all Newsletters except the current year, and all Journals to 2013. The last five years of Journals are available for purchase. Interested in Research and need some support? 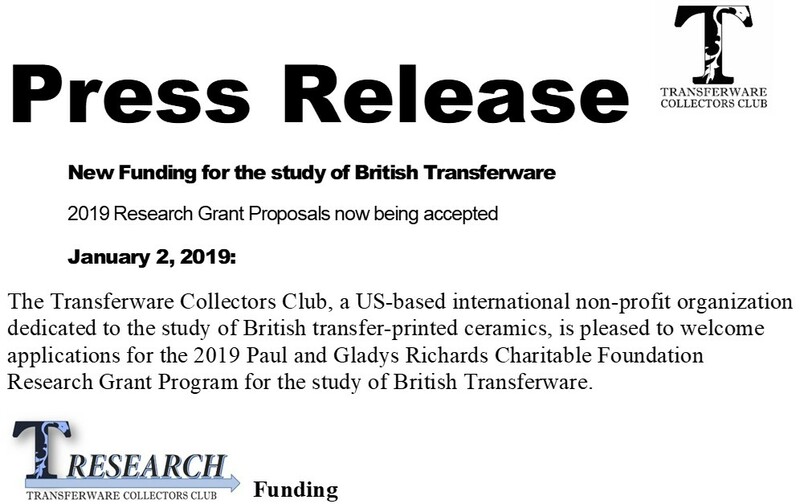 The Transferware Collectors Club is pleased to welcome applications for the 2019 Paul and Gladys Richards Charitable Foundation Research Grant Program for the study of British Transferware. Founded in 2009, this programme has funded 22 projects to date a number of them by NCS members. Check them out on the TCC website. (car park directly outside and a 5 minute walk from Cheam station). 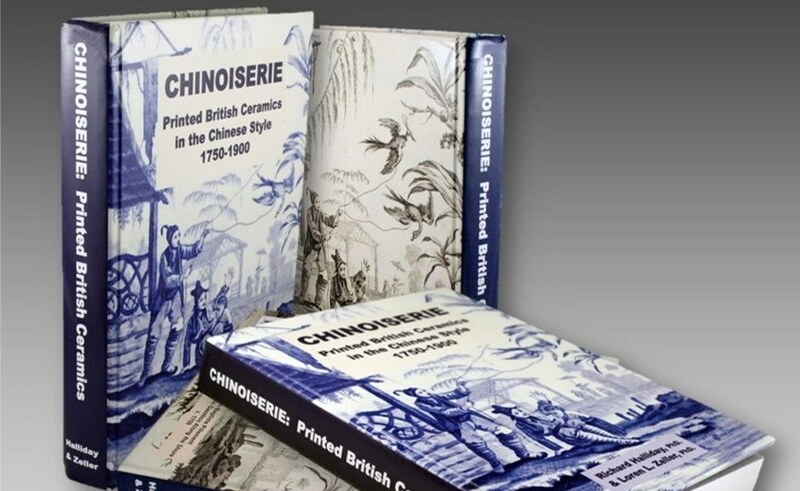 Chinoiserie: Printed British Ceramics in the Chinese Style is a newly published book made possible in part by a grant from the Transferware Collectors Club to NCS members Richard Halliday and Loren Zeller. Read about it here. This conference will discuss ceramics made for many levels of society. Our distinguished slate of speakers will cover a wide range of topics, from the 17th century soil pits of Chester Rows to the 20th century display cabinets of royal and noble castles and palaces. 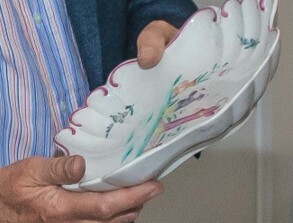 by the Reeves Collection, Washington & Lee University. Click here to see a gallery of images from the book Enjoy.